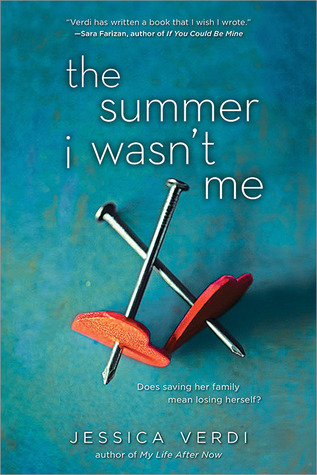 The Best Books Ever: The Summer I Wasn't Me - Two Reviews! The Summer I Wasn't Me - Two Reviews! With all of the recent books about LGBTQ youth coming out, I had almost forgotten that I requested this one from Netgalley. I'm so glad I found it in my virtual "pile" of books to read and gave it a shot. This isn't the first book I've read about a teen sent to a "de-gayifying camp." Emily M. Danforth's epic novel The Miseducation of Cameron Post also conquers this difficult subject. Unlike Danforth's book, however, The Summer I Wasn't Me is a quick read that will appeal to even teens who "don't like to read." I found most of the characters in this story very realistic. Each teen has his or her own reason for attending New Horizons. Lexi goes to save her mother from falling apart after her father's death, even though she has doubts that the camp will work. Others teens attend the camp because their parents make them, or because they truly believe in the camp's message. Not one of them feels like a stereotype, for which I was grateful. Of course, Lexi finds that nothing is as simple as it seems. She develops a crush on one of the girls, which she tries to fight. The first two-thirds of the novel consists of Lexi trying to make friends and truly trying to change, but then. . . bam! Something happens that rocks the whole camp to its core. I won't give any spoilers away. I'll just say that last third of the book is much more gripping, and deals with even more issues. I've read a lot of reviews lately that contain the words "this book was disturbing." So, I think I should warn you that this book is disturbing. But it's also eye-opening, funny, romantic, and important. At 342 pages, it's also a quick read and well worth the four or five days it will take you to read it, too. Lexi has known that she was gay for a long time, but it is a secret that she has lived with alone. She lives in a very religious community, and if anyone found out about her secret, she would be ridiculed and bullied. So, she has kept it to herself, only expressing her true feelings in her art. One day Lexi arrives home and her mother has her sketchbook out, crying. She confronts Lexi about her feelings, and when Lexi does not deny them, her mother turns away from her. Lexi gets a phone call a few days later from her pastor, and he hands her a brochure for New Horizons. She decides to go, for her mothers sake. Their family has already lost so much, with the death of her father. Lexi is determined to put her whole heart into the camp; she is 100% determined to change. She doesn't quite believe that it can happen, but she is willing to do everything in her power to make sure that it does. Camp is immediately strange, and uncomfortable. She starts questioning things almost immediately, and I can't say that I blame her. Making girls wear only a pink uniform, wear makeup and jewelry and fix their hair? Guys must wear blue uniforms. Guys play sports; girls do laundry. They have individual sessions and group sessions, and very few free times, which they must spend with their group. Lexi's group is an eclectic bunch. I really liked Matthew and his fierce determination to be himself. Caroline is the love interest, who should not be. And then there is the shy one, the one who is not willing to allow himself failure, and we have Lexi. They are all great characters, but Lexi and Matthew shine. I won't get into the rest of the premise. I hate giving things away, and telling the whole story, because then why would you need to read it. I am just going to give my opinion on the story itself. It was an enjoyable read, in some places. I loved the characters and the situations they created. The atmosphere and environment were wonderfully written. But I did have an issue. And it ruined a lot of the enjoyment I might have had otherwise. I did not like the way that the author portrayed Christians. The people at this camp, the head of this camp, they are not Christians. Not TRUE Christians, anyway. I myself am a Christian, and reading this I was truly bothered. I don't judge people or force them to change. I don't hurt people, by any means. I love people, regardless of who they love. I get that the camp was made of crazy, and I get the point that the author was making; You can't change something about yourself by wearing pink, or role playing, or doing laundry or playing sports. I understand the point of it. My only wish is this: I wish that she had put an example of a true Christian in this story. One that came into that camp and showed what true Christianity is about. If that had happened, I would have enjoyed this story much more. MUCH more. But it did not. And I am pretty angry about this. There, enough said. I won't say anything else. As far as recommending this story, yes I would. But if you are a Christian, like me, be warned that it might cause you some anger. To everyone else, please know that I am not saying anything negative about anything in this book, other than the portrayal of Christianity. And I hope that I in no way caused any offense to anyone, because that was not my intention in the least.